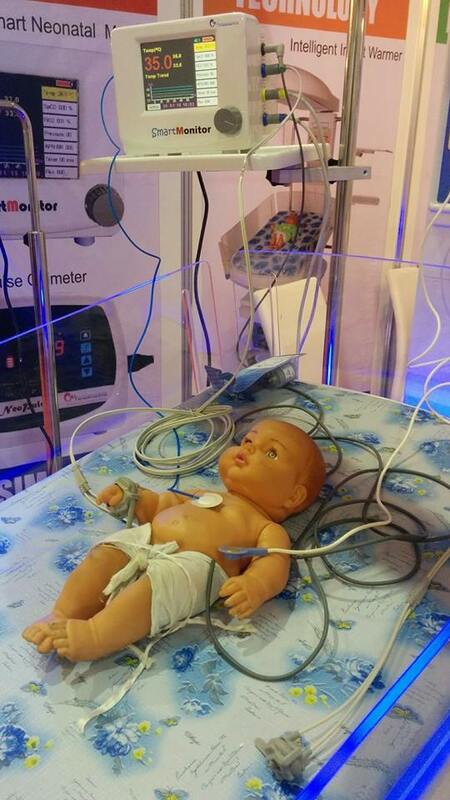 AVI Healthcare's Smart Monitor is a neonatal monitor incorporating all the important features related to neonates. It has complete touch screen and user-friendly interface. Smart PulseOx - It monitors SpO2 rate and pulse rate of the baby and also provides plethysmograph and pulse quality bar graph. NONIN PureSAT technology is used. Smart Apnea - It monitors respiration rate of the baby and detects apnea. Apnea Time can be set. Apnea WakeUP technology is used. Smart Temperature - It monitors rectal temperature of the baby and also displays temperature trends. Alarm limits can be set. 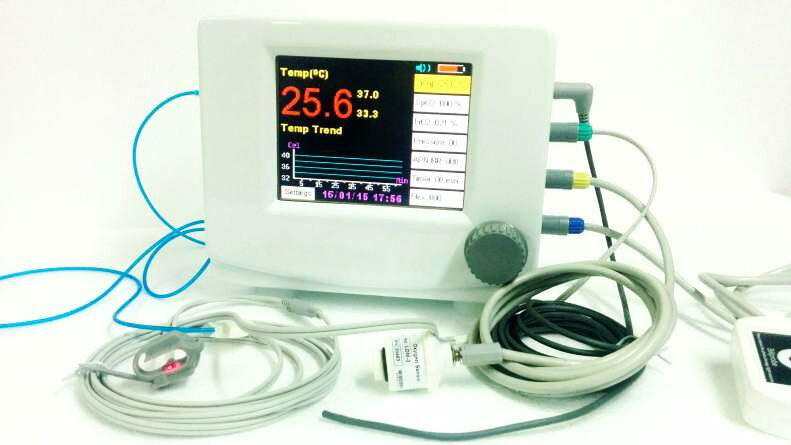 Smart Oxygen - It monitors FiO2 concentration and also measures FiO2 delivered to the baby during CPAP or Oxygen Hood. Alarm limits can also be set. Smart Pressure - It acts as a Digital Pressure Manometer and measures CPAP pressure accurately. Smart Timer - It displays Reminder timer in minutes. There is a provision for APGAR timer with stop watch and alarms can also be set at intervals of 1, 5, and 10 minutes.